Modern political discourse is in a sad state today. Ideas are now crafted in sound bites, tweets and slogans to appeal to a world absorbed by the frenetic intemperance of instant messaging. Speech has become dominated by empty rhetoric and posturing. Expressing oneself is complicated by political correctness that suppresses common sense and objective truth. The result is public discourse that is flat, meaningless and forgettable. Gone are the great speeches that once energized people to do great things. Great ideas, succinctly expressed, are suffocated by nonsense, doublespeak and sensationalism. Inside the turmoil, many forget that the most powerful ideas are expressed in clear, simple terms. Indeed, the language of Christ and the Gospels is marked by its sublime simplicity. What most people do not realize is that sometimes all it takes to set souls afire are three simple words. 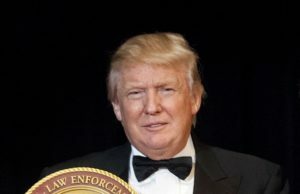 The world was recently reminded of this great truth on July 6 when the American president spoke before a large crowd in Warsaw. The significance of this event cannot be underestimated. Poland was locked in the middle of the Soviet Bloc with no effective means to free herself from its tyranny. With noble obstinacy, this indomitable people faced an immense problem that seemed to have no human solution. The deep faith of this Catholic nation called forth Divine solutions that far exceeded anything they had imagined. A decade after the cry “We want God,” the Iron Curtain came down and Poland was free. The history of the Church is full of episodes in which great movements arose and found their expression in three powerful and simple words. Two such examples come to mind. 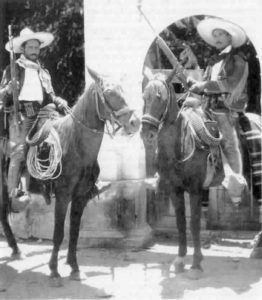 Two Cristeros on horseback. The Cristero War (1926-1929) was an uprising against religious oppression by the anti-Catholic Mexican government. The first involved an oppressed nation. In the early twentieth century, the atheistic forces in Mexico’s government sought to suppress the Catholic Faith by forbidding worship, destroying churches and killing clergy and faithful. The simple Mexican people had no resources against the ruthless aggression of a modern army. However, these faithful Catholics found tremendous inspiration in three simple and powerful words: Viva Cristo Rey! The cry of “Long Live Christ the King” resonated across the land and soon rallied countless “Cristeros” under the banner of the Virgin of Guadalupe. Today the fact that Mexico is still Catholic is due in great part to the power of these three simple words that struck terror into the hearts of the enemies of the Church. In 1095, Christendom was shaken by divisions and external threats. Indeed, fearsome Islamic armies had swallowed up the Holy Land and now posed a threat to the West itself. In the face of this crisis, there seemed to be no human resources proportional to the danger. The results of the great resurrection motivated by this battle cry were the Crusades, which, overcoming enormous obstacles, united Europe against the power of Islam. July 15 marked the 918th anniversary of the conquest of Jerusalem, the principal objective of the First Crusade. The power of three simple words holds a lesson for America today. The nation is in crisis. America is polarized, debt-ridden and decadent. A liberal and secular establishment weighs heavily upon those who wish to uphold Christian morality. Outside the country, radical Islam and hostile nations want to destroy America. There seem to be no human solutions that can address all these problems. In the face of such dangers, analysts say many things are needed: vision, direction, money and leadership. All of these things are very important. However, it would appear that the most urgent action of the moment would be to cry out in the public square for Divine assistance. What is needed now is America’s own three simple words that might serve as a catalyst to move the nation to Godly solutions that would far exceed expectations. What are those three simple words? Usually, such words come spontaneously born of the deep Faith of the people. Perhaps readers might offer some suggestions. 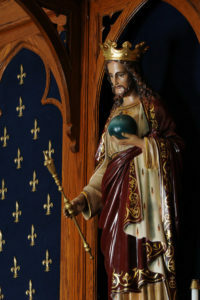 This entry was posted in Featured and tagged America, crusade, God, We Want God by John Horvat II. Bookmark the permalink.